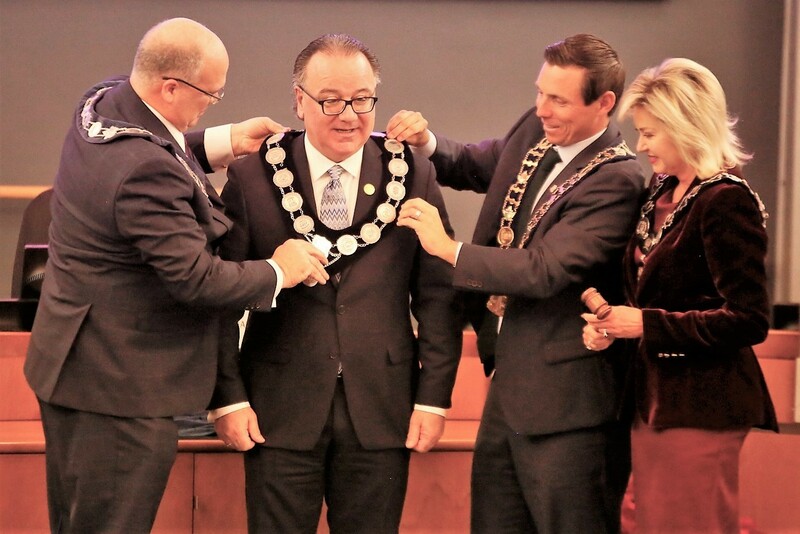 Months of speculation finally came to an end Thursday when regional councillors voted former Mississauga councillor Nando Iannicca into the regional chair’s seat. The new chair was nominated by Mississauga Mayor Bonnie Crombie, whose motion was seconded by Brampton Regional Councillor Martin Medeiros. 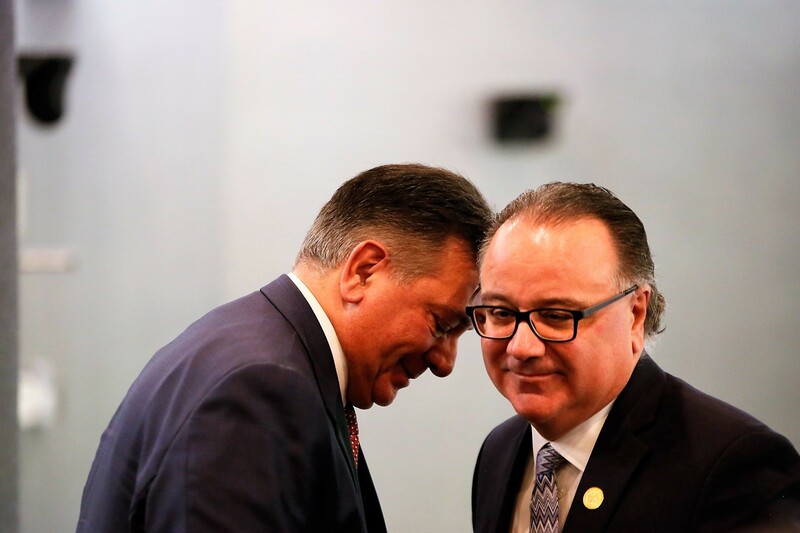 Iannicca was competing against Mayor Patrick Brown’s nominee, Charles Sousa, the former Mississauga MPP and Ontario finance minister under Kathleen Wynne. They were the only candidates nominated, as no Brampton councillors, past or present, and no one else from the city was put on the ballot. Retired Brampton councillors Elaine Moore and Gael Miles had intended to run for the job but ultimately decided against the move. “At the end of the day, I didn’t have enough support to submit my name,” Miles said. A perplexing imbalance continues to exist on Peel Regional Council, and with some Brampton members choosing to side with their Mississauga counterparts, it’s highly unlikely Brampton will get its way on key issues. Though Brampton's population is rapidly catching up, Mississauga has significantly more councillors at the regional level. Brampton has seven members, including the mayor, while Mississauga has 12, which accounts for the full membership of its city council. Caledon has five members on regional council, though it has only a ninth of Brampton’s population. “It is important for us to work together with our colleagues, especially in Mississauga,” Medeiros said, referencing the decision Brampton council made Wednesday about reopening the possibility of a Main Street LRT route. 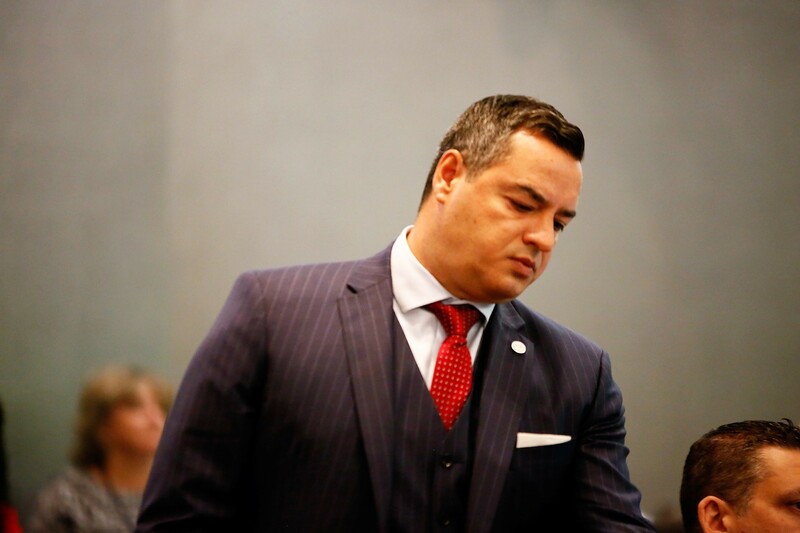 "The ability to now work with Nando Iannicca, who was certainly a large part [of] why Mississauga brought the LRT," is helpful, he said, in tackling the future of the project. Iannicca won 15 votes for the regional seat, compared to Sousa's nine. Despite the potential awkwardness of having two Mississauga nominees competing for the job, the affair was absent any acrimony. The two competitors made an effort to highlight their friendship with one another and even shared a hug, while at times fawning over each other in their candidates’ speeches. Brampton’s regional councillors, even those who supported Iannicca, might have to work hard now against one of Crombie’s main goals. Picking up where she left off in the last term, Crombie drew attention to a possible restructuring of the region that she has led the charge on. In 2016, she announced her intention to see Mississauga part ways with Brampton and Caledon, pledging to remove her city from what she described as an antiquated regional government system that has been outpaced by the growth of its two largest cities. Many critics believe it makes little sense for the country’s sixth and ninth largest cities, with a combined population of more than 1.3 million residents, to remain in a two-tier system designed five decades ago to help what was once a patchwork of small communities share infrastructure costs. Crombie’s staunch belief that Mississauga is far too big to be tied to Caledon and Brampton, with all their continuing growth needs burdening Mississauga taxpayers, could present a challenge for Iannicca, who in the role of chair must balance the wishes of all three municipalities. Former Brampton mayor Linda Jeffrey, in a rare break from Crombie during the previous term, emphasized that Brampton, after helping fund Mississauga’s outsized growth for decades, deserves to have its continuing growth-related costs shared by partners in the region until it, too, is fully built-out. “It’s been no secret that I believe that Mississauga, being the third largest city in Ontario — with many much smaller cities and communities being single-tier— that it has always been our desire to control our destiny,” Crombie told The Pointer after Thursday’s vote. It’s unlikely that she would have thrown her support behind Iannicca if he didn’t see eye-to-eye with the mayor on her key objective at the region. That makes the support he received from Brampton regional councillors Medeiros, Gurpreet Dhillon, Paul Vicente, Pat Fortini and Rowena Santos somewhat hard to understand. 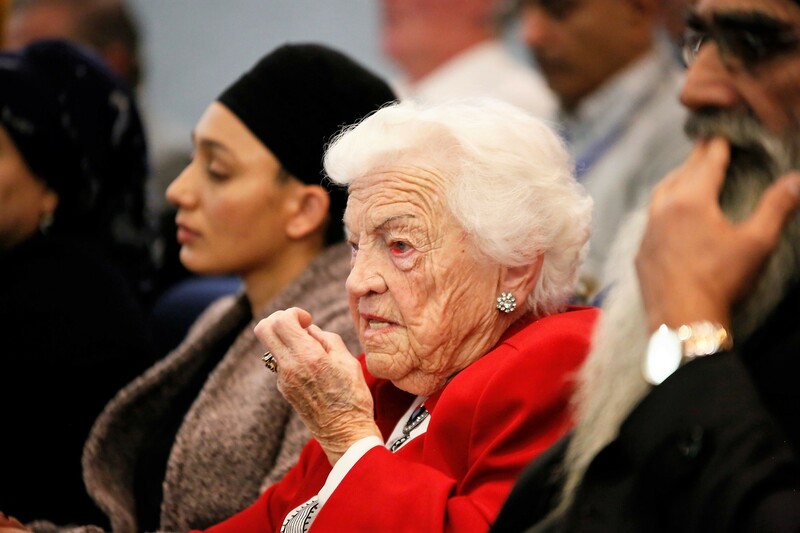 Interestingly, former Mississauga mayor Hazel McCallion, who was present at Thursday's meeting, lobbied for Sousa. 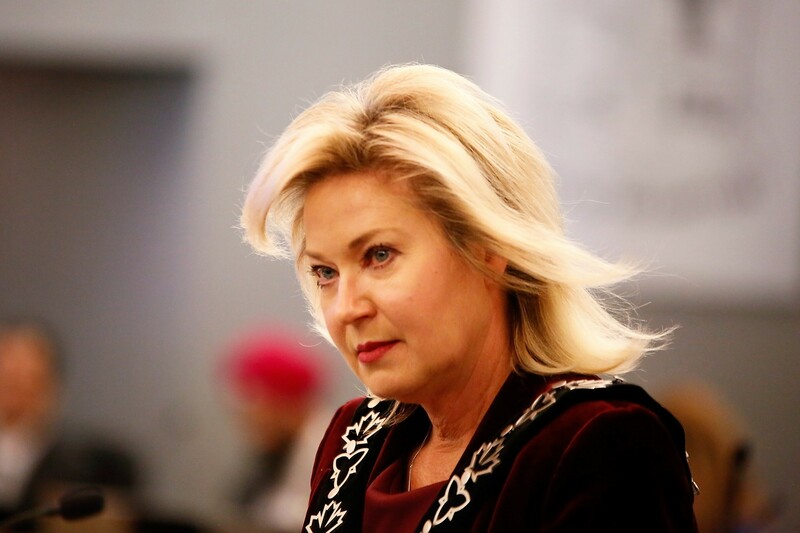 But Crombie ignored the wishes of the woman who helped put her in the mayor's seat four years ago, when McCallion decided to step away after 36 years on the job. The review is part of changes under the Better Local Government Act, the PC legislation that aims to remake local government. The controversial reduction in the size of Toronto City Council and cancellation of regional chair elections marked only the beginning. Brown, after leaving the leadership of the Progressive Conservatives, was a contender for the regional chair position when it was slated to be an elected role. Ford quashed that ambition by reverting to an appointment process through a vote by regional council. “What we are going to do during this pause is take a long look at regional government across the province — where things have worked and where things haven't — to figure out what we can do better,” Clark said of the plan to rethink the regional system. The future of Peel Regional Police also remains uncertain. Iannicca, along with the two mayors, will sit on the police board that has to contend with the unfinished business of selecting a new chief of police, after Jennifer Evans departs in January. Her scandal-plagued tenure as Peel’s top cop makes the task of selecting her replacement a daunting one. The PRP’s use of "carding" has left many members of the community feeling alienated from the force. Despite providing no evidence, Evans has remained firm in her assertion that curtailing street-checks is connected to the spike in crime in the region. This despite the allegations of racial profiling connected with the practice, backed up by a Toronto Star investigation into carding in Peel over a recent five-year period that showed black residents were three times more likely to be carded than whites. Critics have speculated that Evans’ departure is partly due to her handling of race-related issues in the two cities, where about two-thirds of the population is not white. Iannicca will also have to oversee management of a host of land use issues, including the ongoing controversy over poor planning decisions in Caledon that prompted Crombie and Jeffrey, during the last term, to effectively lead a regional takeover of growth-related decision making in the municipality. That sparked a furor among the Caledon members, who stormed out of regional council chambers in protest. Now, the new chair will have to navigate such matters as Peel’s growing pains continue.